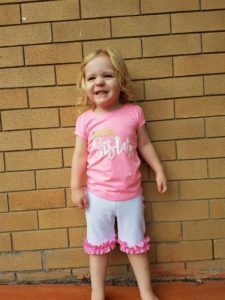 I was super-stoked to be asked to offer a blog post on my hack of the Rosie’s Ruffled Leggings pattern! 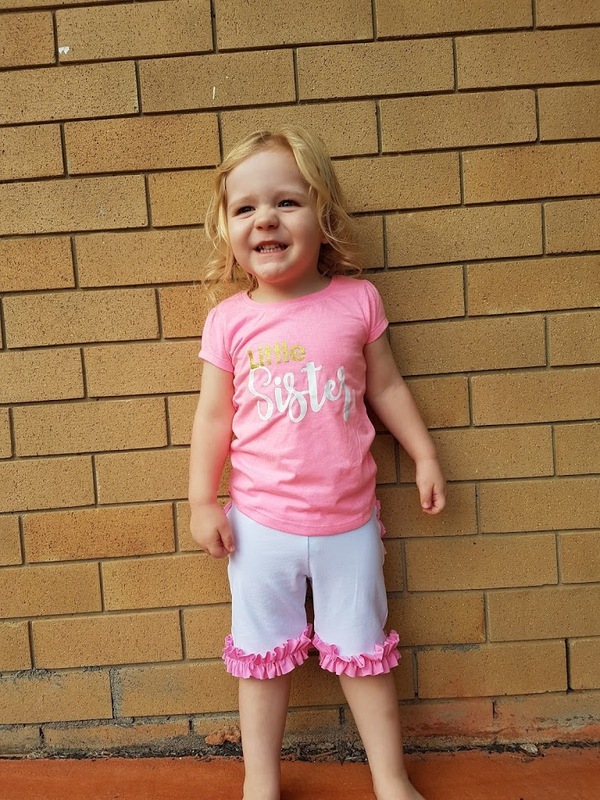 Just a quick run-down on me: I’m an Electrician, but I’m currently a SAHM with my 3 beautiful daughters (ages 4.5 years, 2 years, and 11 months). I’ve been blessed to be married to the most tolerant, patient man for almost 9 years! I discovered a love of sewing after inheriting my Grandmother’s Janome sewing machine 11 years ago, but didn’t start using it until 3 years ago (I still had it serviced every year, even though it only collected dust). I might have been slow to start, but I quickly fell down the rabbit hole of custom knit fabrics, and haven’t looked back! Last week, Mama Can Do It hosted a sew-a-long sponsored by Simply by Ti Fabrics. I adore sew-a-longs! Not only does it give me the opportunity to purchase *another* pattern on sale, but I can try new designers AND it motivates me to finish, because…who doesn’t like the potential to win free fabric?! I live in sunny (very hot) South East Queensland, Australia. And… its summer, so full length leggings just weren’t going to work out that well for me. During the sew-a-long, I realised that I could definitely deviate from the plan! This is an important realisation for me, because I’m usually SUCH a stickler for the rules. 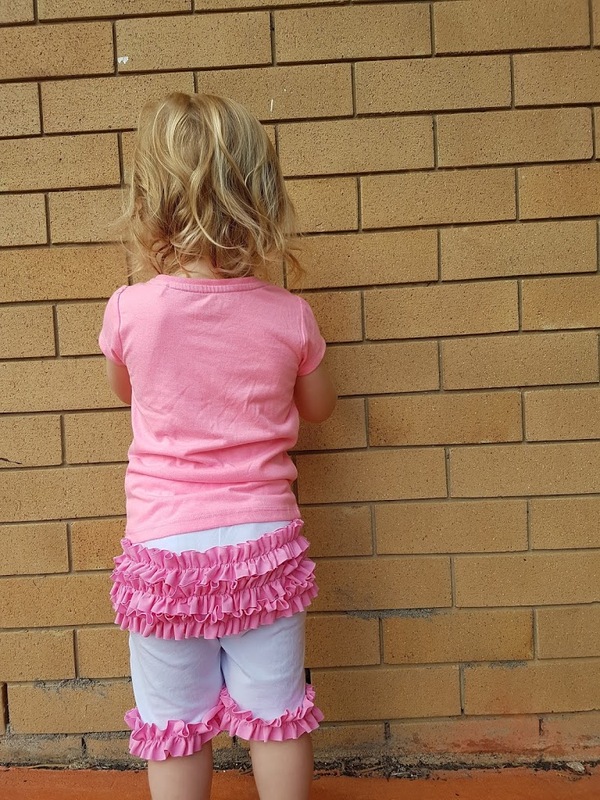 To start with, I measured my daughter and printed out the pattern. 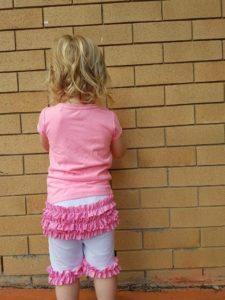 After taping, grading out the waist, and cutting, I then measured my daughter’s inseam down to the point I wanted her shorts to sit. For my middle daughter, that was 5 inches. I then added in the hem allowance. 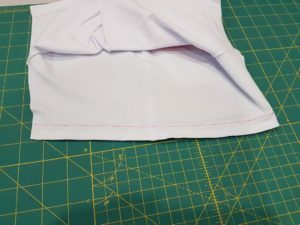 I cut the paper pattern off at the appropriate length and then cut my fabric. I cut the bum ruffles as per the chart. I followed the tutorial right the way through up until it came to attaching the leg ruffles. Because I am not awesome at math, I measured the width of the seat of the leggings (12″) and then measured the width of my leg openings (also 12″). 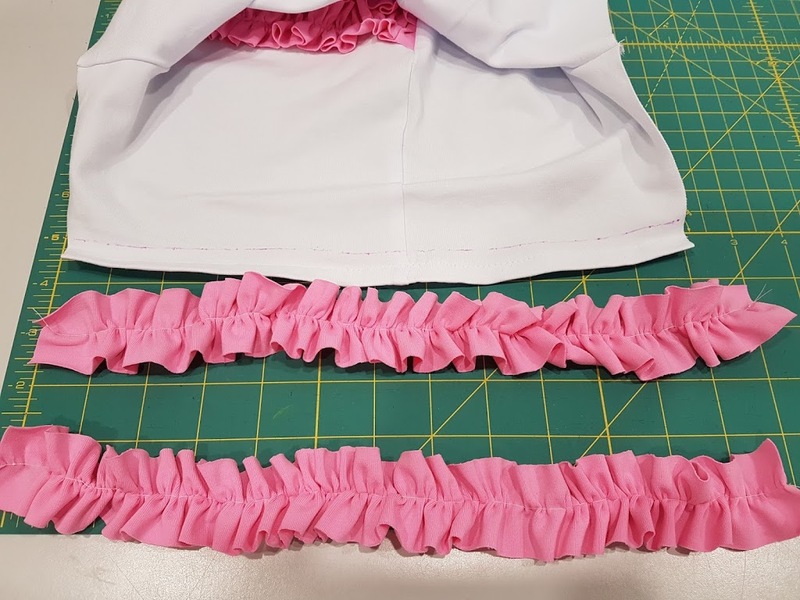 In this instance it was perfectly fine for me to cut 2 x ruffles the same as the bum ruffles, but I will definitely be checking this with every pair I make. I ruffled the fabric to 13″ (to allow for error) because I didn’t want to end up with ruffles that were too short! I measured up from the bottom of my finished hem, 3/4 of an inch. 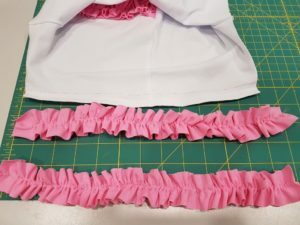 This is because the ruffles are 1.5″ wide, and I wanted the bottom edge of my ruffle to match the bottom edge of my hem. I drew a line with an air-erasable pen (same as with the bum ruffles) to guide where to stitch my ruffles. Thank you for having me! It was a pleasure to write this post, and I hope it can help inspire you all to try a hack of your own!